Another colorful creation from Marella, this pack of Nastri Mix Colorful Handmade Ribbons can be great gifts to family and friends. 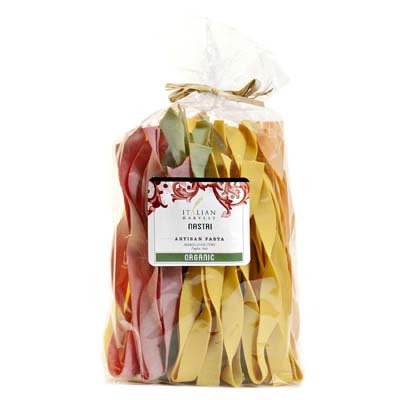 Or if you prefer, you can use this pasta with its festive colors yourself, for special events such as birthdays, anniversaries, or romantic dinner dates. An especially unique pasta, each strand measures about an inch wide and its colors all come from natural ingredients. In addition to that, this organic pasta is also from high quality durum wheat. Serve it with some creamy tomato or pesto sauce. Can’t wait to try them out? Get your hands on them now!